Durable. Rugged. Stands the test of time. That’s what you expect from radial tires. Not so much from candy. But that’s the Tootsie Roll. Built to last. Tootsie Roll Industries describes the candy’s peculiar durability as “its non-perishable quality and resistance to extreme weather conditions.” I’ll say. It’s pretty amazing that a candy renowned for surviving under war conditions should end up near the top of America’s favorite treats. How, you might wonder, did the Tootsie Roll get to be that way? 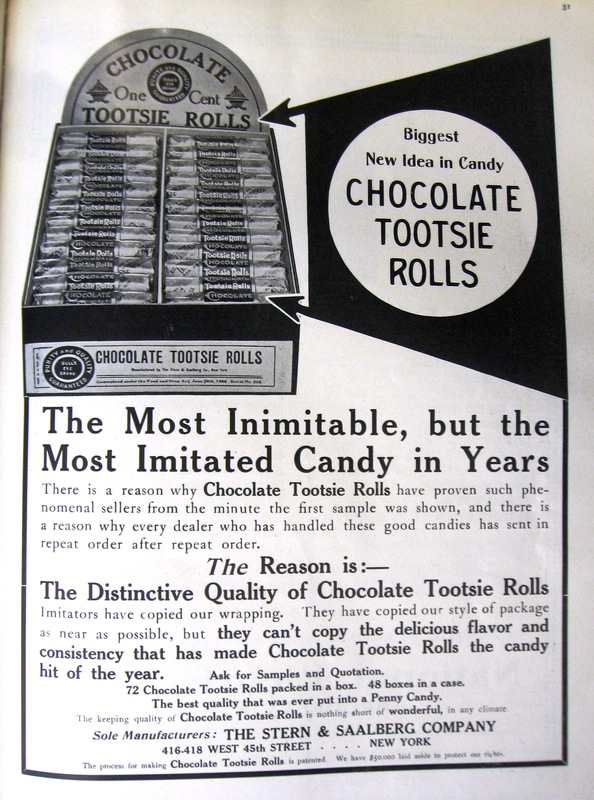 Because if it weren’t for that non-perishable resistance, Tootsie Roll would have been just like any other chewy American candy of the early 1900s. Normally a candy like taffy would be made by boiling the sugar mixture to a certain temperature, then pulling it on forks as it cooled, which would incorporate tiny air bubbles, making it lighter in color and creating that chewy texture. Once it had cooled, you could cut it into pieces and wrap it. What Leo figured out was that if you baked the candy at a low heat for a couple of hours after you pulled it but before you shaped it, the texture would be transformed from regular sticky taffy to the particular and peculiar texture of Tootsie Roll. The second cooking would cause the candy to rise like a cake, and become more light and porous. And it would make the candy a little tough, Leo admitted: “while tough in a measure it is not unpleasantly so, and will after a reasonable length of time thoroughly dissolve in the mouth.” That sounds about right. The process for making Chocolate Tootsie Rolls is Patented. We have $50,000 laid aside to protect our rights. 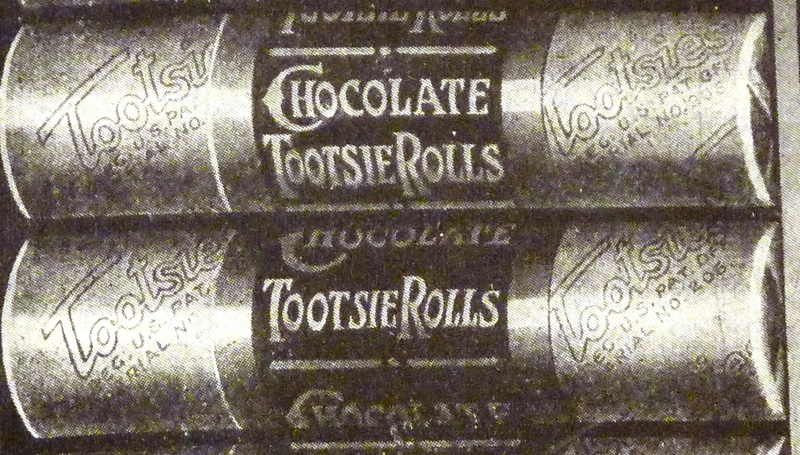 The name “Tootsie” was also a registered trade-mark, protected by U.S. Patent and Trademark law. And in case you forgot, the patent was right there on the label of every single Tootsie Roll. The print is a little fuzzy, but it says “Tootsie Reg. U.S. Pat. Office” all over the label. There is no candy like a Tootsie Roll, then or now. Pretty smart, that Leo Hirschfeld.